Who’s reading at Volume II of The Frunchroom? 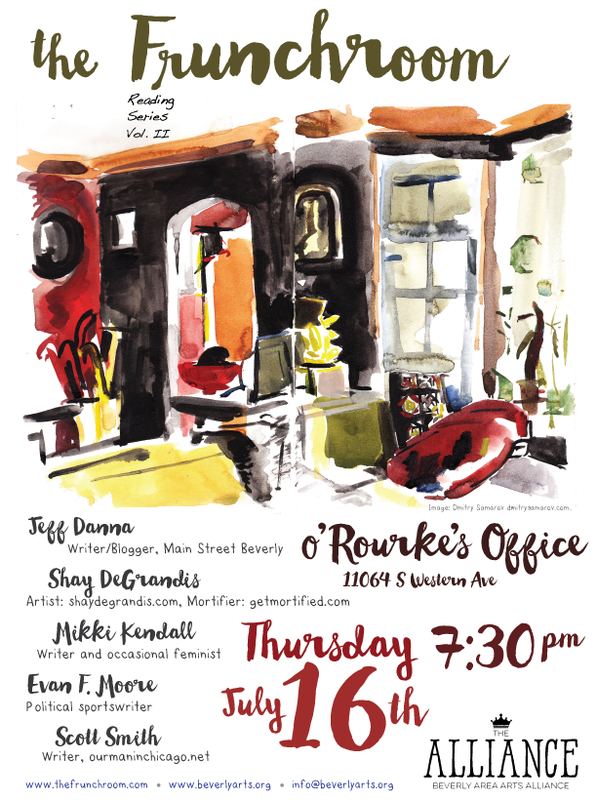 The first event was a great success and I’m hoping for more on July 16th at 7:30pm when The Frunchroom will once again be open at O’Rourke’s Office (11064 S. Western) for stories of, and by, people and places on the South Side. It’s still a free event, but donations are welcome and benefit the non-profit Beverly Area Arts Alliance, our production partner. Check out the Alliance website for some exciting upcoming events. I’ll be emceeing as well as reading that night. You can read some initial press for next month’s event over at DNA Info Chicago.